Jojoba oil is used for numerous cosmetic and health related functions. But did you know that jojoba can also be beneficial in treating dermatological issues, and it may even promote healthy hair growth (1)? This article will explain in detail what jojoba oil is and how it is might be useful for hair loss. I’ll then share two ways you can increase the effectiveness of jojoba, and how you can find the best brand for your hair. Let’s get started! Technically not an oil at all, jojoba is a combination of long-chain monounsaturated liquid wax esters (2). This structure is nearly identical to the structure of naturally occurring sebum, which is the oil produced by sebaceous glands in humans (3). Jojoba oil is taken from the seeds of a jojoba plant which originated in the southern region of the United States and in the northern region of Mexico (4). It is not typically sold in its natural form, but instead the oil is processed to a point of it having a transparent yellow look. 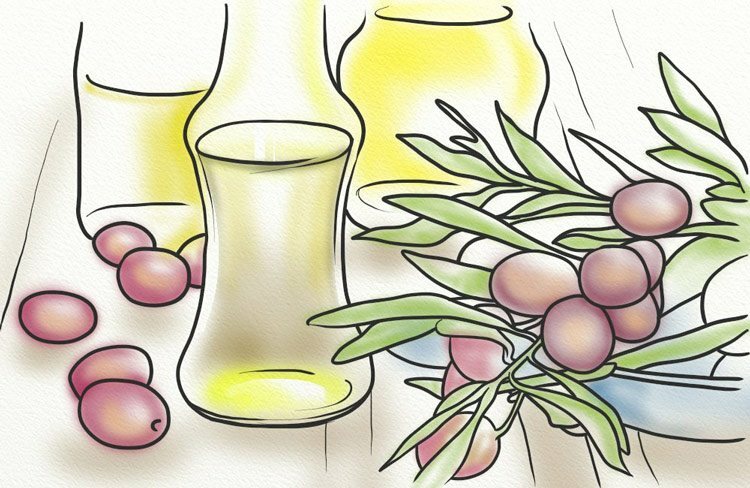 Jojoba has been a staple ingredient in the cosmetics industry for years (5). Will Jojoba Oil Really Help With Hair Loss? The chemical makeup of jojoba oil is so close to that of oils which naturally occur on the scalp that it may prove beneficial in overall hair health. What do I mean? Inflammation is a natural autoimmune response, which is triggered when the body has been injured, becomes ill, or has been invaded (such as by bacteria, or a virus) (6). The immune system responds by sending White Blood Cells (WBCs) to the area of origination, which then leads to inflammation and (sometimes) soreness as the WBCs do their work. Such a response protects the body, but when inflammation is chronic it can cause problems. In addition, there are certain conditions in which the immune system will attack the body without provocation. For example, Rheumatoid Arthritis (RA) and Alopecia Areata (AA) (7, 8). This can also occur as a result of DHT sensitivity, which is believed to be the main cause of hair loss in men and women with Androgenetic Alopecia (AGA) (9). When DHT (an androgen) attaches to the androgen receptors at the hair follicles, an immune response takes place. 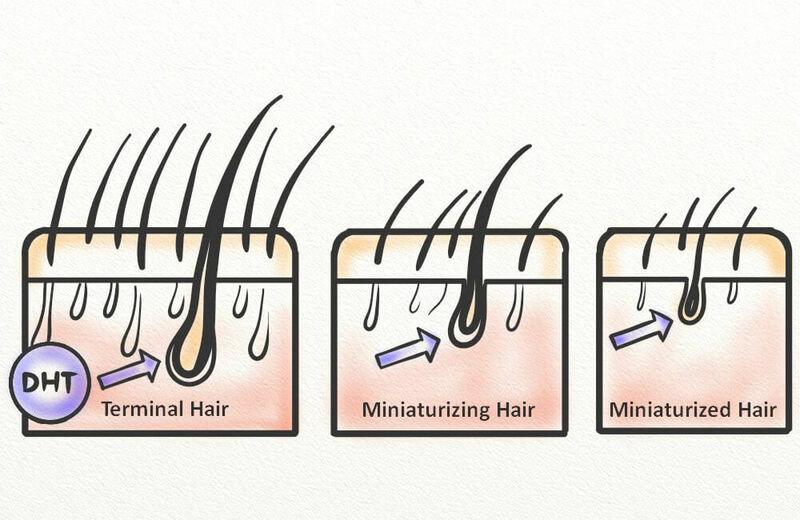 This leads to inflammation of the follicles, which triggers miniaturization and eventual hair fall (10). This process can be reversed, and one way to do so in the short term is with the use of anti-inflammatory treatments. Perhaps the most compelling evidence was that JLW was able to reduce the levels of both Prostaglandin E2 (PGE2) (a lipid associated with inflammation) and Tumor Necrosis Factor-alpha (TNF-alpha) (which has also been linked with inflammation) (13, 14). When applied directly to the scalp, then, jojoba may be able to relieve inflammation and irritation associated with AGA and other causes of hair loss, such as fungal infections. While not the most common cause of hair loss, bacterial infections can prove particularly nasty if they do take hold. Such infections that may effect the scalp include folliculitis, which is a generalized inflammation of the follicle (15). It can occur for various reasons, though the bacteria Staphylococcus aureus is one of the most common (16). As folliculitis sets in, an increase in hair fall will be noticed. This occurs as the inflammation pushes the hairs from the follicle prematurely, and makes it difficult for new hairs to form or develop. 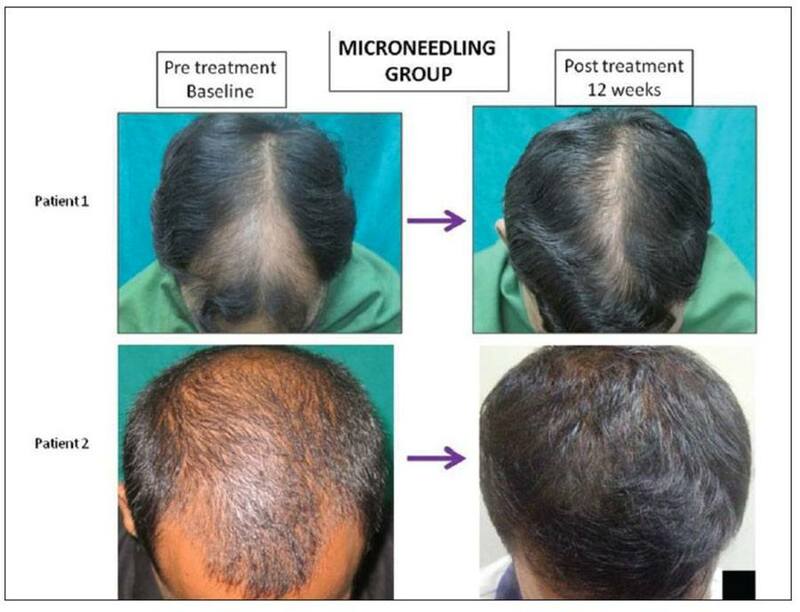 If allowed to continue, it can cause permanent damage and irreversible balding. While you should absolutely seek out medical attention if you suspect a bacterial infection of the scalp, there are things you can do to keep them at bay once it’s been properly treated. This includes applying jojoba – a proven antibacterial – to the scalp. But how effective is jojoba really? As a positive control, Chlorhexhidine (a disinfectant commonly used prior to surgery) was added to a separate set of bacterial cultures. While Chlorhexhidine proved to have a larger zone of inhibition (which was to be expected), jojoba oil also showed itself to be quite effective at inhibiting the four bacterial strains. And one of these strains, Staphylococcus aureus, is even the one most often implicated in folliculitis. While further testing would be welcome, these preliminary results show promise for jojoba as an effective and easy-to-obtain antibacterial agent. Jojoba oil is practically harmless to everyone. The non-toxic, non-allergenic, non-comedogenic oil does not clog your pores and it is not known to trigger any allergic reactions. If you choose to use jojoba oil or jojoba-containing hair products, you’ll want to be sure that you’re using it to its greatest benefit. Here are two ways you can do so. Scalp massage is a technique that uses your fingertips, or a specialized tool, to stimulate the scalp and gently stretch the skin. This has proven benefits, though the main one is its ability to increase hair thickness. This was proven in a 2016 study, which showed that regular massage session can increase hair thickness by inducing stretching forces (18). 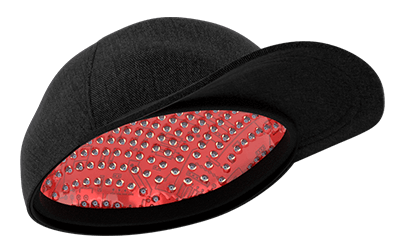 This increases blood flow to the area and softens the skin, but it also stretches the Dermal Papilla Cells (DPCs) (19). With just the thumb, middle, and index fingers, place each hand on either side of your head. As you apply pressure, begin to move your hands in circular motions. Continue in this area for 1 – 2 minutes, and then make your ways towards the crown. Continue the circular movements on the crown for 1 – 2 minutes, and then slowly begin to move towards the hairline. Bring your fingertips first to the center, and then slowly work your way out to the temples. You can continue to go back and forth between the center of the hairline and temples for 1 – 2 minutes. Then slowly return to the sides of the scalp. Last, bring your hands to the back of the scalp. 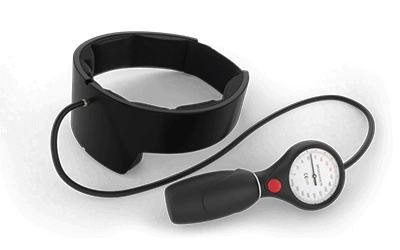 Continue massaging for 1 – 2 minutes. You can always go back to previous places, especially if you feel you didn’t get them thoroughly enough the first time around. For best results, I recommend performing this for at least 10 minutes per day. Microneedling is a therapeutic technique that uses a specialized tool (such as a dermaroller or dermastamp) to induce wounding. It can be used almost anywhere on the body, though it’s most often used on the face (to reduce acne scarring and hyperpigmentation) and the scalp (20, 21). This process helps to produce new skin cells (which are necessary for new hair growth), and develops collagen (23). And the answer is no! There are tools you can use at home, such as the dermaroller and the dermastamp, to perform the technique yourself. Once you’ve chosen your tool, bring it to the area of hair thinning and apply gentle pressure. If using a roller, roll over the area in different directions (horizontal, vertical, and diagonal) four to five times. If using a stamp, just place the tool in different directions upon each pressing and repeat four to five times. And that’s it – you’ve just completed your first microneedling session! I recommend performing the above technique once per week (preferably in the evening). A few words of caution: You may experience some discomfort during the procedure (such as tingling, or pressure). That’s normal. However, microneedling should never be painful. If you’re experiencing pain, you may need to go down a needle size or apply less pressure. Jojoba oil can be found at practically any store that sells hair care products. And while cost may be a factor you consider, it shouldn’t be the only one. Jojoba oil is best stored in a cool, dry place. But even more importantly, it should be stored out of direct sunlight. There are many brands that sell jojoba and similar products in clear glass or plastic contains. It’s best to avoid these brands, and instead find one that uses a dark, glass bottle. Jojoba oil is not a miracle treatment for hair loss, or damaged hair. But it can be a beneficial addition to your hair care routine. Jojoba’s composition is quite similar to that of the sebum, which means it can be used to promote scalp health and strong hair. And its various other properties – such as anti-inflammatory and antibacterial – can also provide benefit to those who want to use jojoba for hair growth. Do you have questions? Be sure to leave a comment below. Great article! My family grows Certified Organic Jojoba oil in AZ and we clean, press, and package it here in CA. It works wonders for your skin, hair and nails! I have been using this product for over 15 years and am very cautious of what I put on my skin. Your body is your temple, you should educate yourself about what you put in and on it! Cheers!